You are probably checking this out, thinking about how healthy these home fries are since I made them with sweet potatoes. Right? I may have done something bad. I may have fried them in bacon grease. And when I say ‘may,’ I really mean that I absolutely did and it was 100% fabulous. See, I have a little confession. I don’t always fry my bacon. Let’s be honest – it’s messy, it’s time consuming, and I am not always in the mood to get burnt by flying bacon grease. So many times, especially during the week, I lay it on a wire rack and bake it, letting the drippings fall onto the baking sheet below. And then I throw them away. Yes, you heard me correctly, I throw away the drippings. Somewhere in Heaven (hopefully…) Mother Lovett just had her 14th heart attack. And somewhere 15 minutes away from me, my mother just dropped dead. In my family, throwing away the drippings is the ultimate sin. But yesterday, I decided to fry bacon. It is so much better that way. And then I dumped the drippings in a jar and placed them in the back of the fridge, just like Mother Lovett would have. The only difference is that my drippings won’t be in there for the next 3 years. Heat skillet on medium heat. Add oil and chopped onion. If you don’t want the onions crispy and brown, add them once the potatoes have cooked half way. Season the sweet potato with salt, pepper, and paprika. Add the sweet potato and let brown before flipping. 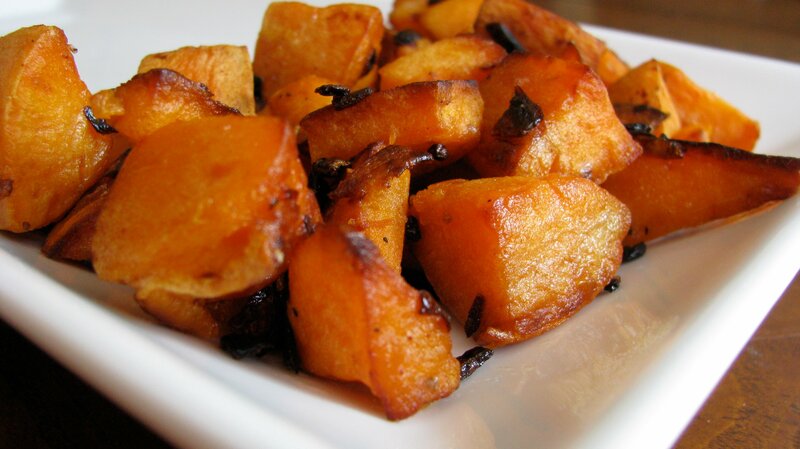 Obviously, you don’t need to use bacon grease to make sweet potato homefries. But I promise if you do, it will rock your world. Some How Sweet Grocery Staples. Finally a fellow bacon lover! Don’t be ashamed! I cook with bacon ALL the time yet I’m able to stay healthy and fit since I eat in moderation. 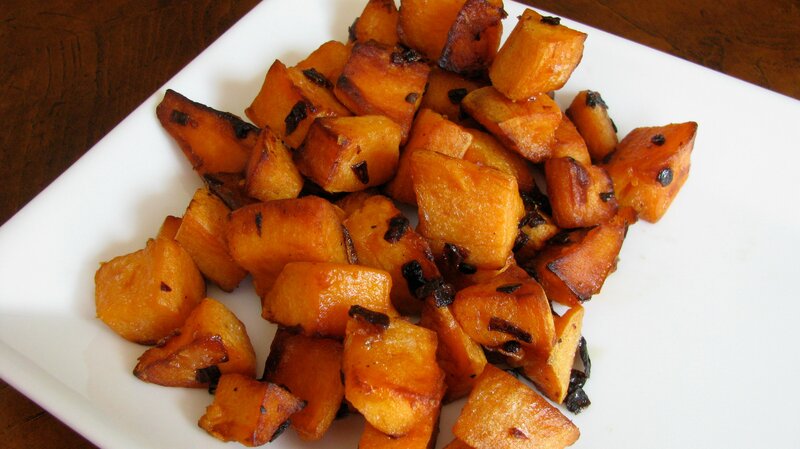 Sweet potatoes are a favorite of mine. Chipotle powder spinkled over the fries add a nice smokey flavor too! This recipe sounds so good! Can I tell you that I always put my bacon in the oven to cook it. Right on the cookie sheet. After about 10 minutes I check it, drain the grease into a container I store bacon grease into, and flip them. No messy stove top! Also try dredging the bacon in flour before sticking them in the oven. Heaven! But the bacon grease is the best part! Actually, I often cook mine in the oven as well (during the week most of the time) for the same reason – no mess. But on weekends I fry some up and use that grease in recipes! Never heard of dredging them in flour – will try! Sweet potatoes and bacon sound like a match made in heaven. Do you ever precook the potatoes before frying? When I fry russets I like to partially cook them in the microwave, but maybe sweet potatoes don’t need that. 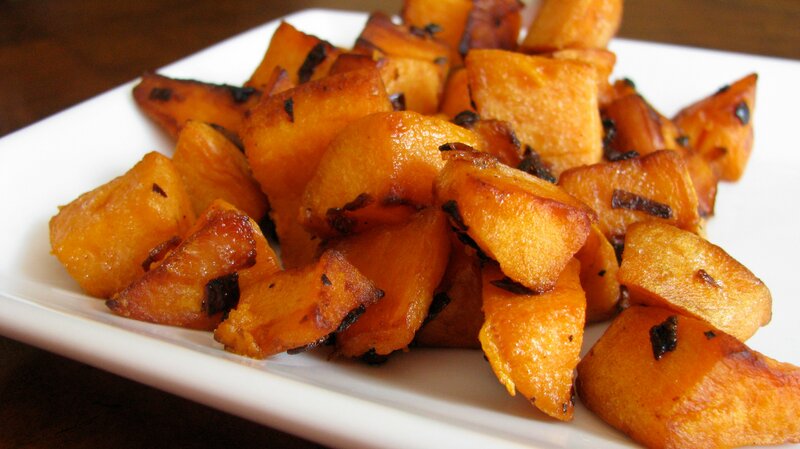 I have been looking at recipes for sweet potato fries done in the oven. Some precook them and some don’t. You could fry bacon first and use the same pan to cook the sweet potatoes serving with the side bacon or chop the bacon and use later for those that don’t save bacon grease. Mmmmmm I love sweet potato fries! My husbands Momma used to make bannock and fry it in a pan with bacon grease…a-mmmmmazing! She would put two pieces together after they were fried and slap some yummy meat and mustard on them and …have I said enough?! They were dee-lish!